I was quite interested when I saw this ad in Buy & Sell (understatement). 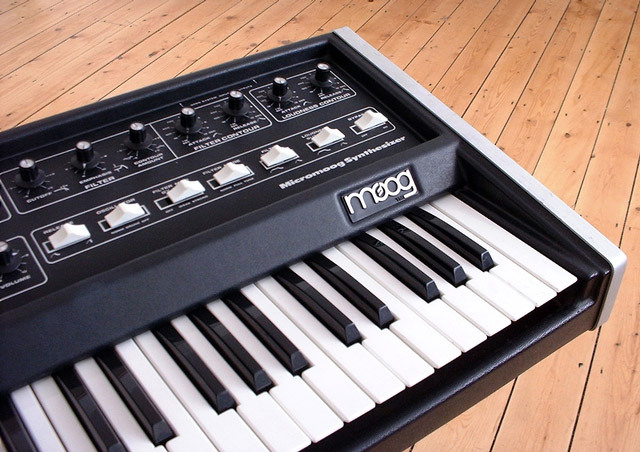 I didn't know what a Micromoog was or what it would look like, but I knew about Moog by this stage. The owner was on holidays, but I got first call to view due to my persistent yet polite phone calls to his mother. 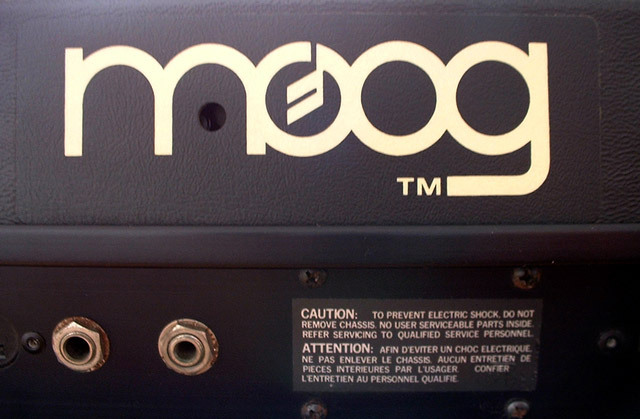 When the time came, the moog turned out to be a dilemma. The oscillator was broken, but the filter and noise source were exceedingly healthy. 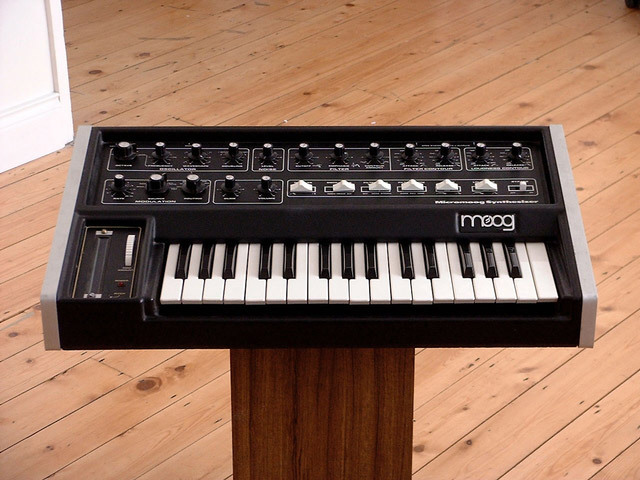 The price was too high for a synth in this condition, but I wanted a Moog. Oh, and the pitch bend slider seemed whacked as well. 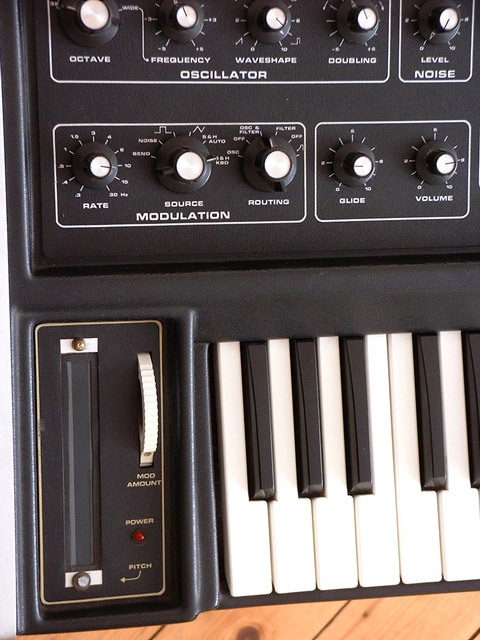 I bought it, and although it doesn't much use (having never found anyone in Ireland who could fix it) it's still capable of zap and filter sweep noises that are 100% Moog. 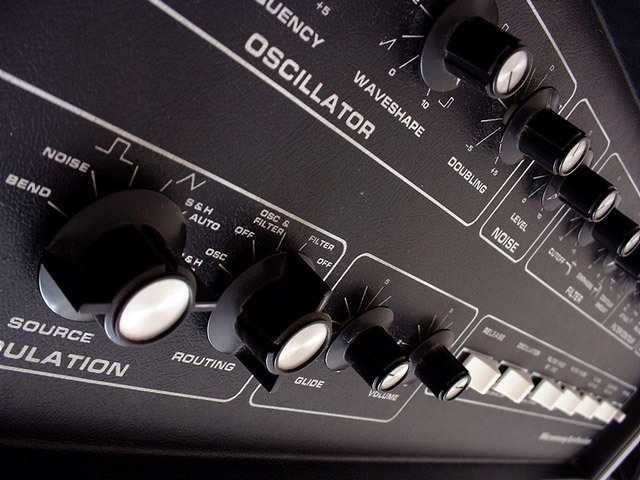 The quality and presence of the filter in this department seems superior to my Minimoog, though I'm not sure why. After seven years I found someone in Ireland capable of fixing my Micromoog. 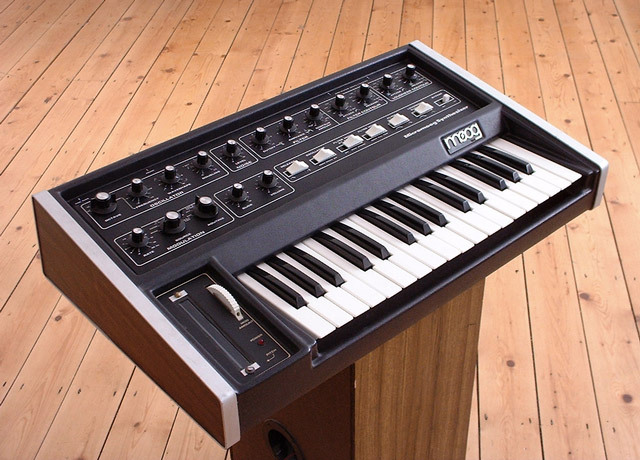 A mail arrived in my inbox from another Irish mooger pointing out that he too owned a minimoog, a jen and a continental (but with a memorymoog thrown in for extra measure). 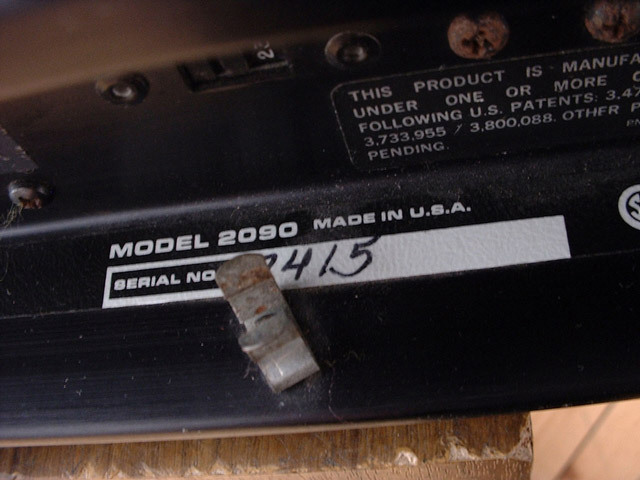 He had also owned a variety of serious name machines in the past, including a Prophet and a JP8, and had been servicing the machines for about twenty years. Communications bounced back and forth until I delivered my stricken micromoog, an ill JX3P, and my confused Continental. He clearly knew his stuff, and it didn't take too long to fix the nasty list of micromoog problems (no oscillator, pitch bend wrecked, filter envelope not working, general calibration way off). Within a couple of weeks I was picking up the restored micro and slowly heading for home (busy family Sunday). Result? 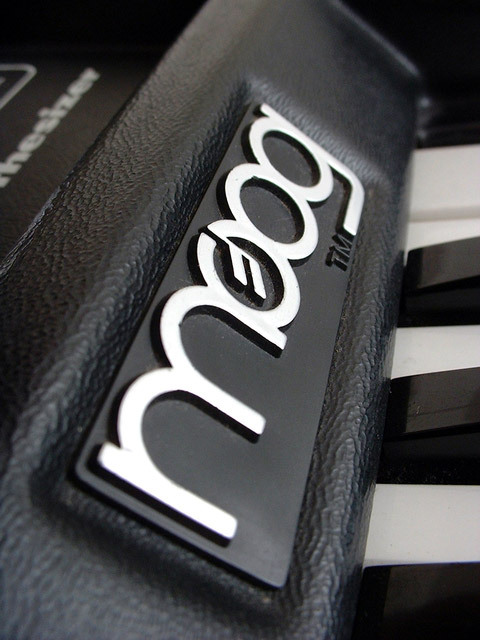 I have now two moogs. 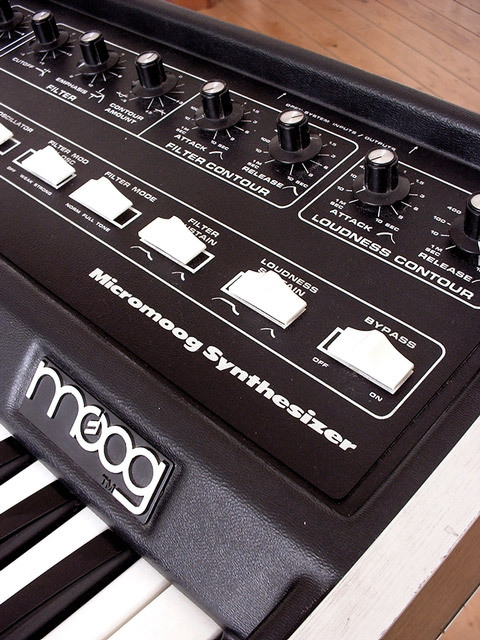 The micro - is (good) nasty, with plenty of options for freaky moog sounds. The osc itself is nice, and the doubling feature (one or two octaves down with volume) helps pull it out of the single osc feature blockade. The variable waveshape (as opposed to just the usual preset saw/square/sine) is another good feature that creates potential. The filter section is excellent, the modulation routings are a lot of fun. The LFO triangle is a bit less subtle for pitch modding than the mini's sine, but who cares (and I can always use the mini for that kind of sound). Sample & hold is in place for space madness, and there's an auto setting which creates simple but handy repeating notes. 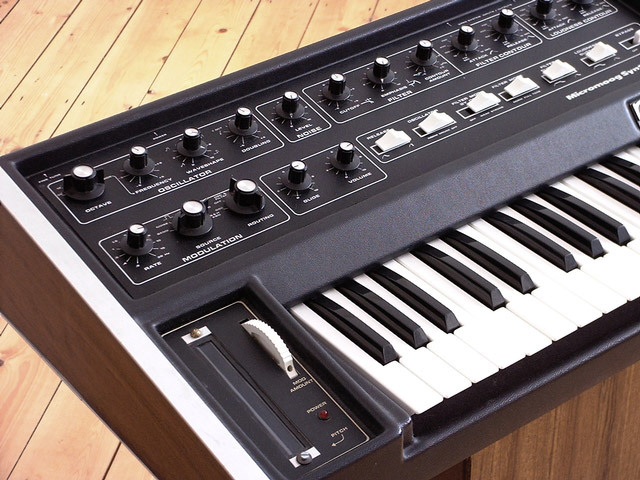 This synth sounds fantastic, with exceptional bottom end and the ability to really spazz out. Well done Repair Guy John, and if anyone wants to get in touch with him for Irish servicing just drop me a mail. Downloads - put up by me!!! I finally make that extra effort to put something new(ish) onto the internet by scanning in my original Micromoog schematics. 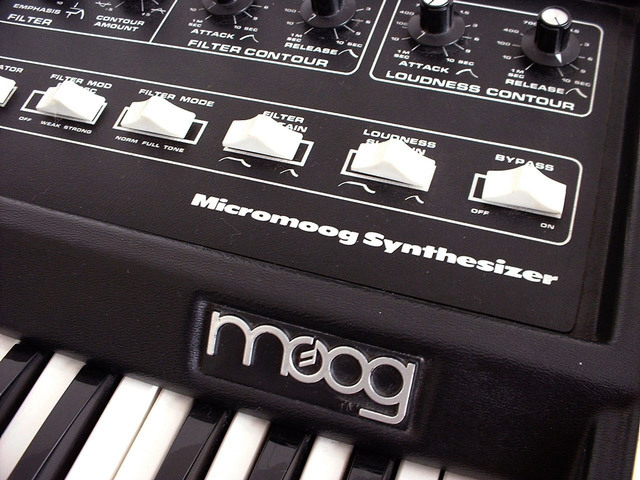 These schematics are also Multimoog schematics, as the two synthesizers are very closely related. 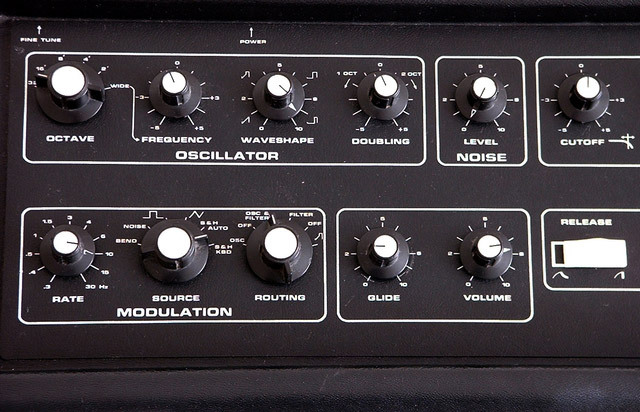 If you go down to the bottom of the page you'll find a link to the Micromoog/Multimoog Service Manual Scans (linking to the Univox page - scans are by Martin). 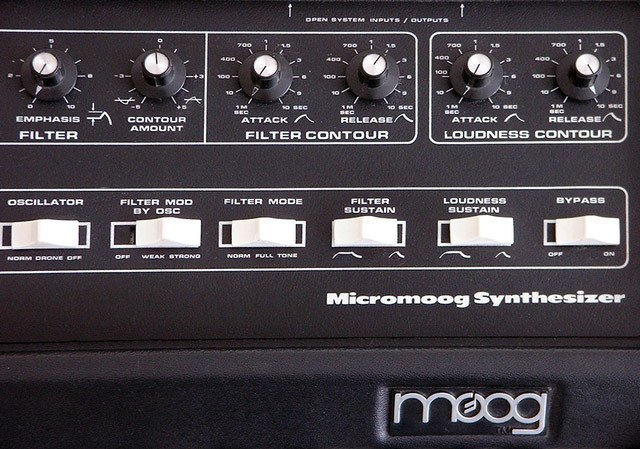 There's also a really crappy version of the Micromoog User Manual that's far too large and very fuzzy. This was a request via email. Did I have a copy of the User Manual? Could I create a PDF for download? Yes, but I didn't have the time to scan it properly. So I digitally photographed the relevant pages and created a crappy PDF file from the jpegs. Dear God - this is a shoddy job, but it's better than nothing (and it's free). Three files are now available in PDF Format. Download the one you want, you DO NOT need all three. WARNING - SOME ARE LARGE IMAGES. CHOOSE "SAVE FILE TO DISC" TO AVOID HERNIATING YOUR COMPUTER.  A cover with photos of the synths (but no important information).  The schematic for the Micromoog / Multimoog main board and power supply (large schematic - 3 A4 pages long).  The schematic for the Multimoog Top Board (2 A4 pages).  The schematic for the Multimoog Tandem Board (2 A4 pages). Segmented GIF files - These files are the original schematics chopped into areas suitable for A4 printing. They are clearly labeled and saved in GIF format for a relatively fast top quality download. The files overlap slightly to facilitate printing. All files should be converted (but not resampled) to 300 dpi after downloading using Adobe Photoshop or a similiar (but inferior) graphics application. WARNING - THESE ARE LARGE IMAGES. CHOOSE "SAVE FILE TO DISC" TO AVOID HERNIATING YOUR COMPUTER. Photoshop Files - Got photoshop?? Feel like chopping the files up yourself??? Here are the complete 300 dpi schematic files in Adobe Photoshop PSD format. The files are compressed to the standard ZIP format. Segmented GIF files - 150 dpi versions. All files should be converted (but not resampled) to 150 dpi after downloading using Adobe Photoshop or a similiar (but still sadly inferior) graphics application. My Micromoog is not a mint Micromoog, but here goes anyway. 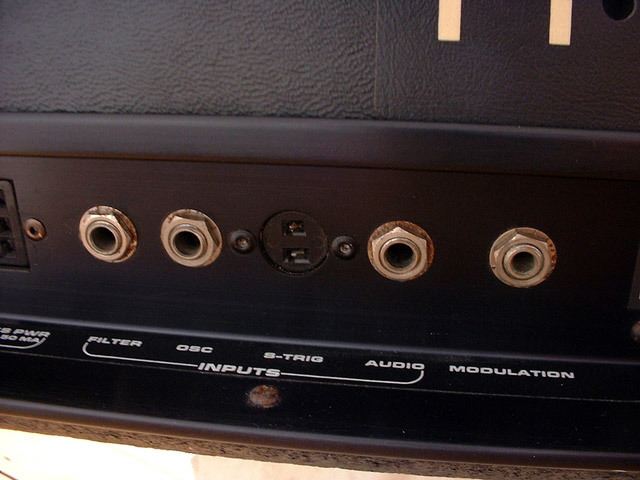 Please note that my "Bypass" switch is missing in some shots (photoshopped back in for others), and my pitch bend touch strip is in a bizarre condition. for the pitch bend and a new bypass switch. 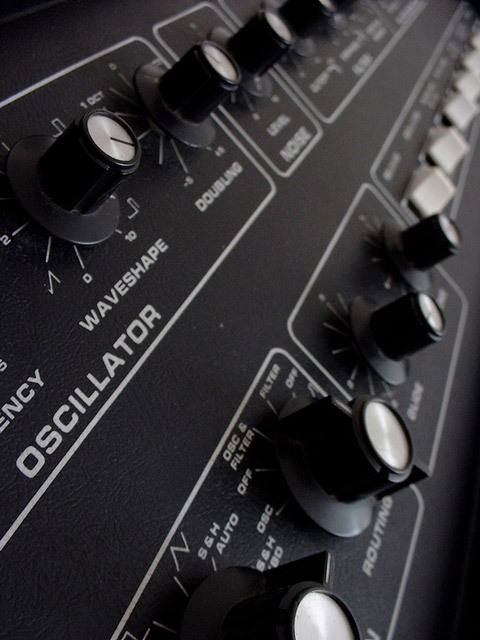 Now my micromoog looks great.